I am so excited about today’s post because it’s a very special project and collaboration that I have been working on with some seriously amazing artists. 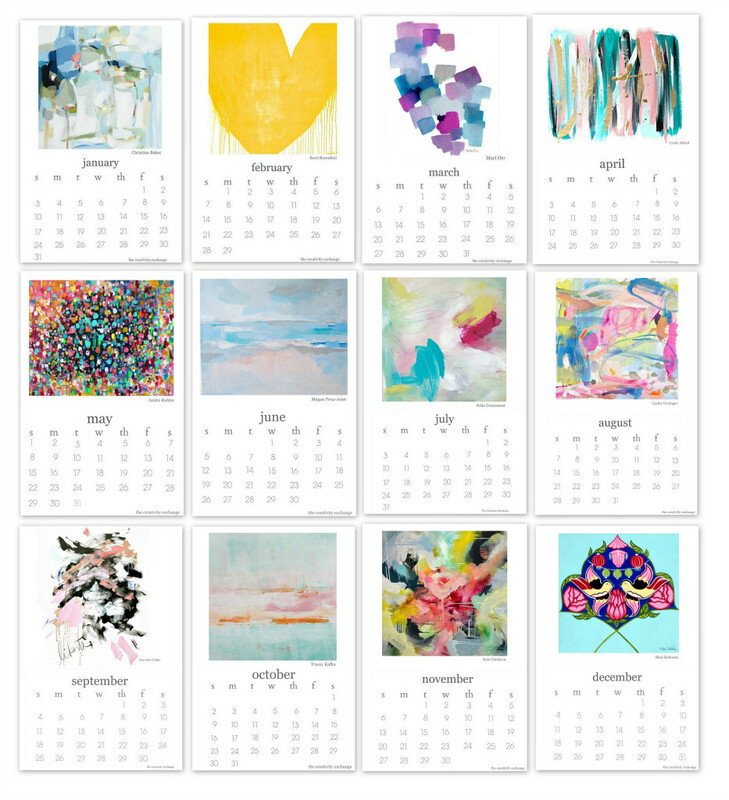 Over the last few months, 11 other artists and myself, have teamed up to share our art and create a beautiful 2016 free printable calendar (desktop) for us all to use and enjoy (the calendar would also be a great last minute stocking stuffer). 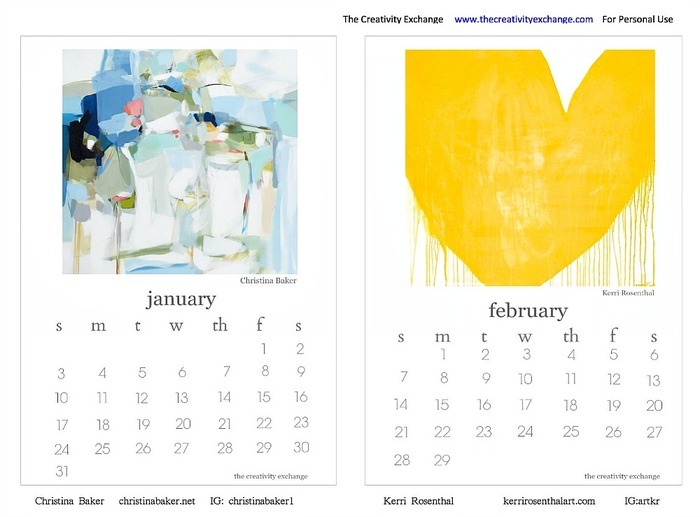 Over the years, I have created many printable calendars but this last year, it occurred to me that my annual calendar would be a really great way to introduce and share some talented artists with you. 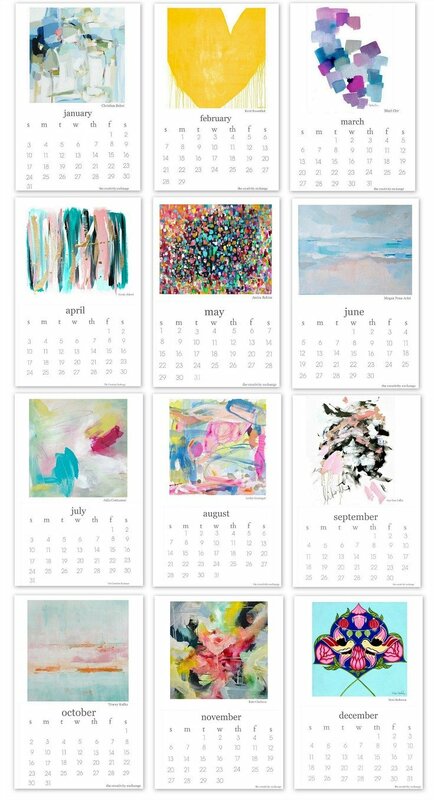 One of my goals this next year for the blog is to feature artists more frequently and inspire you with their creativity, as they have inspired me. 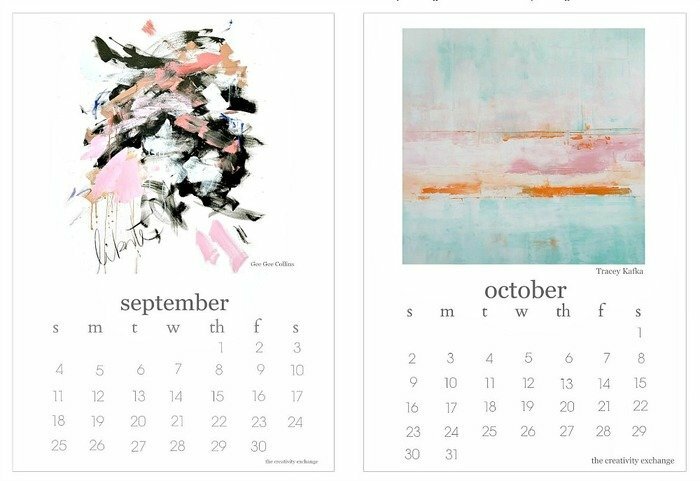 In addition to the calendar, you’ll be seeing more on the blog each month from each of these ladies in our new “Artist Spotlight” feature. 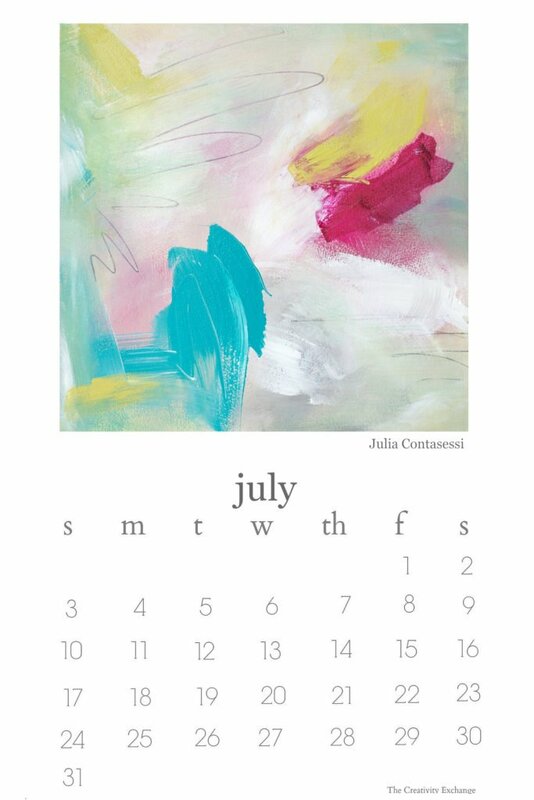 2) You will need to have Adobe installed on your computer to print the calendars and if you do not have it, you can download it free here. 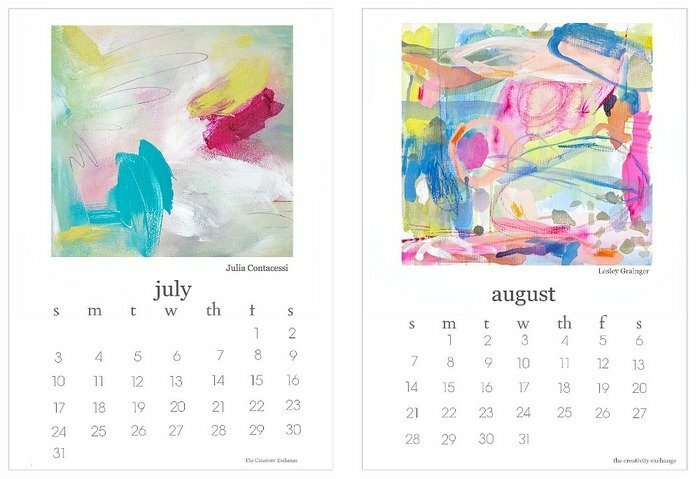 3) The calendars really look best printed on white smooth 8.5″ x 11″ card stock or even heavier weight smooth paper for art prints (found in the art section of craft store). 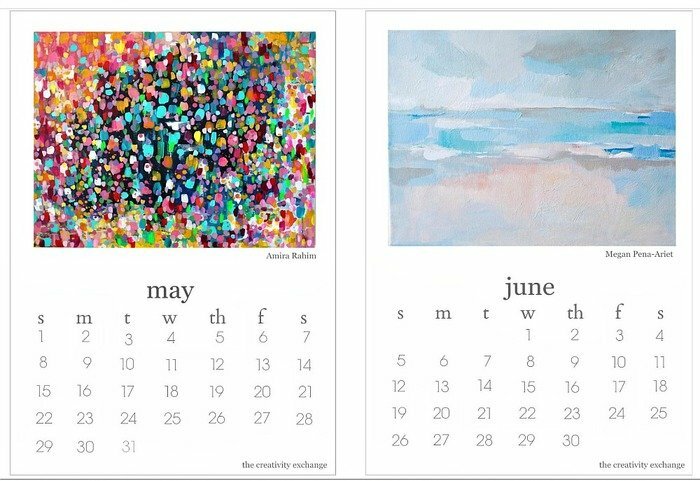 These calendars are for personal use only. 4) Below are the images of each set of printables and to get to the file to print, just click the blue hyperlink directly below the images of the sets that you would like to print. When you click on the file, you will go right into your PDF reader to print. Be sure and uncheck to “shrink to fit” box if it’s checked after you hit the print button. 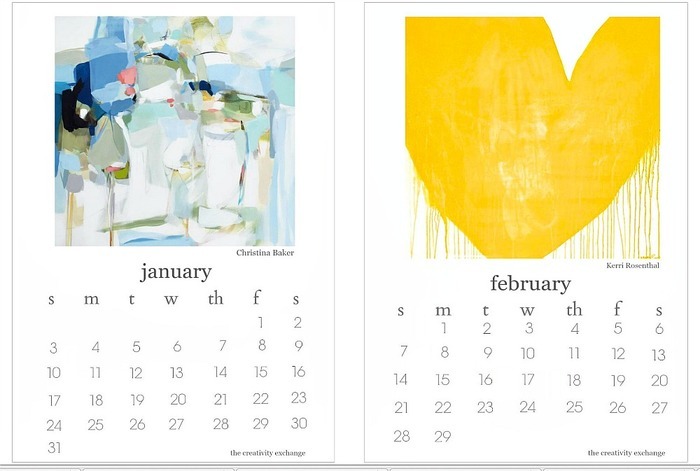 I am just so amazed by how beautiful this calendar collaboration turned out and I cannot thank these ladies enough for sharing and being a part of this project. Please go and visit these amazing artists and follow along! You’ll be amazed and inspired! Merry Christmas and Happy 2016 friends! Cyndy, this is fantastic. Thrilled for the year ahead. Happy New Year! What an awesome variety of artwork, beautiful! Thank you so much for your note Karen! It’s been such a joy to work with these ladies on this. Happy New Year! Thank you so much for your creativity! I look forward every week to your posts. What a gorgeous collection of artwork! 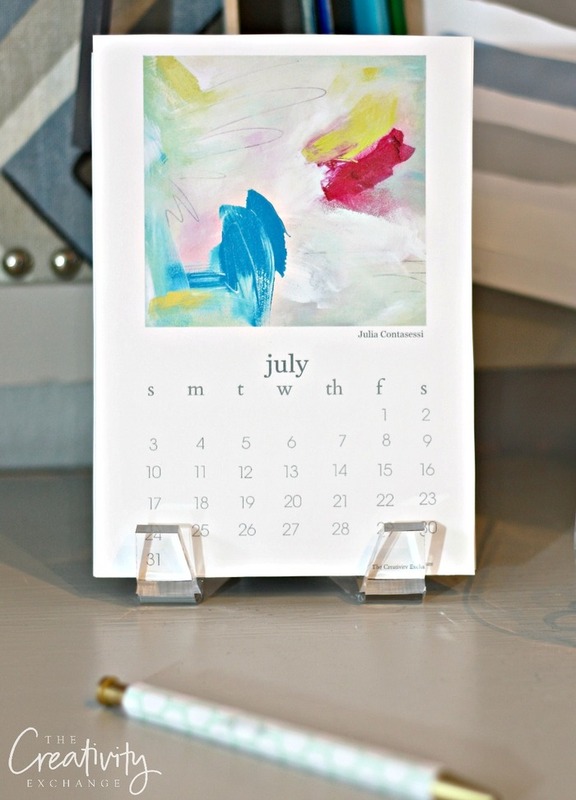 I would love nothing more than to have these hanging in and brightening up my work office! However, I have tried unsuccessfully to download the file through your link (my computer keeps saying I don’t have the Adobe Reader software, even though I just installed it twice). Could you PLEASE email me thePDF file? 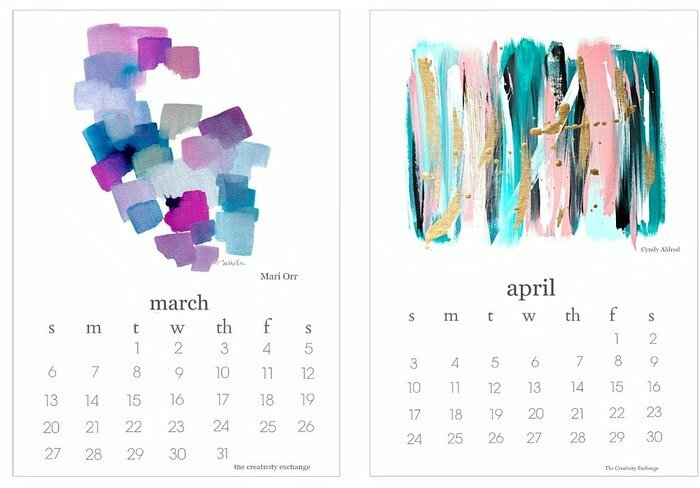 I would love to print these as 8.5 x 11″ individual files. Thank you! 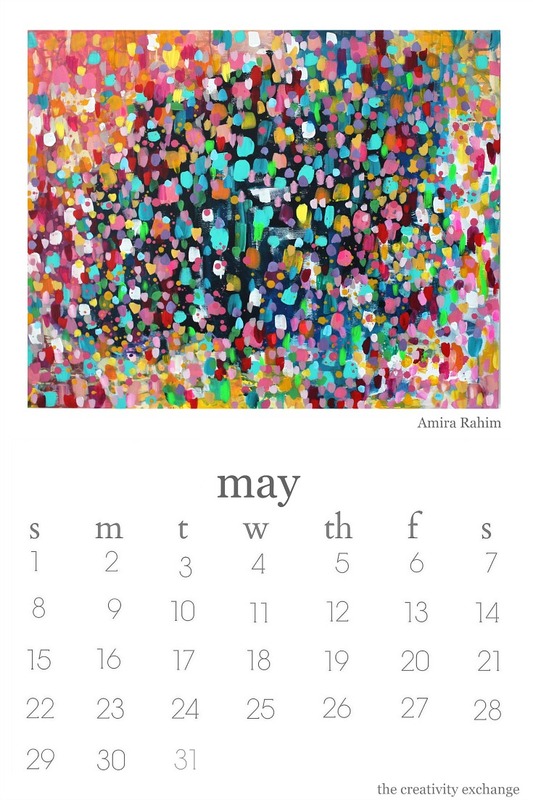 This is the most beautiful calendar I have come across online. Thank you for sharing. 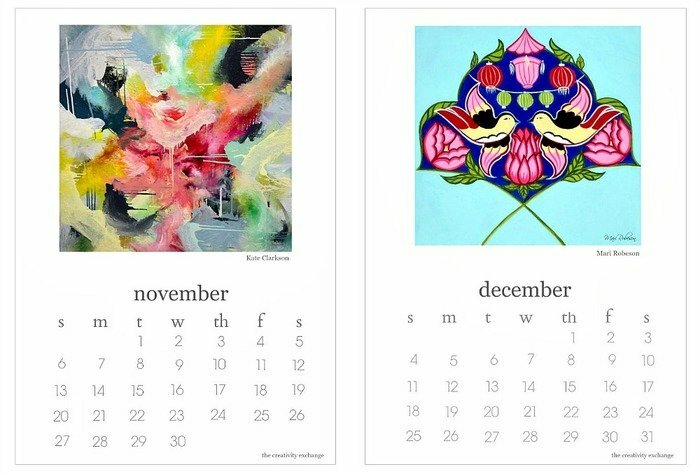 I came across this on Google and was SO happy to see beautiful art pieces collaborated in a calendar. I absolutely love this! Can not wait to print this and put it on my desk. Thanks so much for sharing this and thank you to you and the artists for the art! 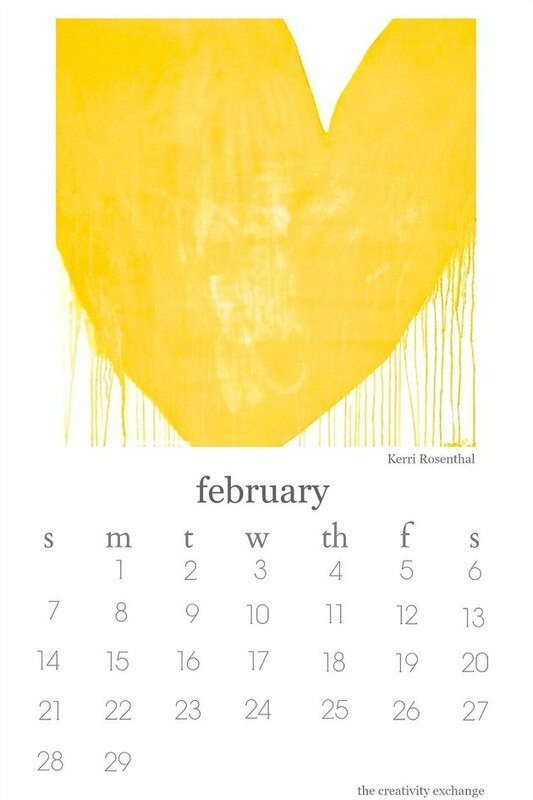 Thank you for this beautiful calendar! Can t wait to put it on my desk!